Posted: Wednesday, October 5, 2016. 3:30 pm CST. 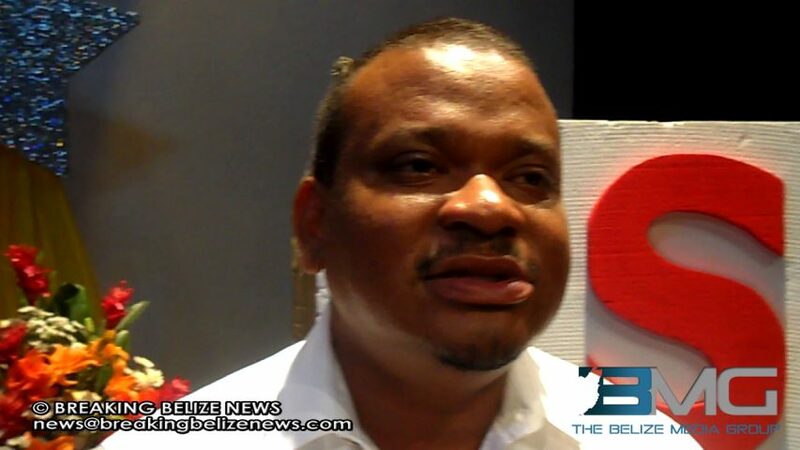 By BBN Staff: Tensions have been running high between the BNTU and the Ministry since teachers have extended their strike to four days and it is not known if it will be extended for longer. The Ministry has been on a campaign of ‘giving facts on the real agenda of the BNTU’. The BNTU has taken today as their public awareness day to educate the public on what are the real issues and demands they are fighting for. 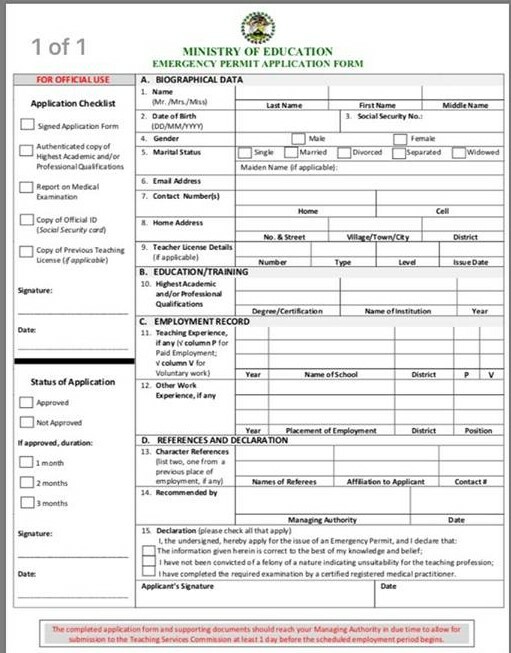 BBN has obtained a copy of an application prepared by the ministry for emergency teaching permits. 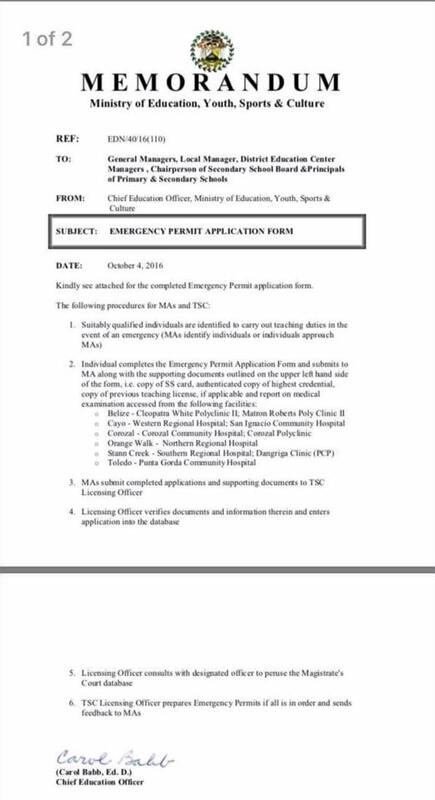 A memo was also sent out to general managers, local managers, district education officers, and principals of secondary schools informing them of the procedures for people to apply for emergency permit for teaching. The memo is signed by Chief Education Officer Carol Babb.